Evening Primrose Oil is extracted from the seeds of the Evening Primrose plant (sometimes also referred to as Fever Plant, Suncup, and Sundrop). It is a bright yellow, edible plant that blooms in the evening and closes up during the day. The roots, flowers, fruit, and seeds of Evening Primrose have been used for medicinal and therapeutic purposes for ages. Evening Primrose is considered to be a great anti-inflammatory and anti-bacterial agent, and the bark of the plant has great astringent and sedative activity. Its key potent ingredient is GLA (gamma-linolenic acid), which is an essential fatty acid that is known to help prevent hardening of the arteries, treat heart disease, diabetes, eczema, psoriasis, nails and hair problems, rheumatoid arthritis, menopause, PMS, fibrocystic breasts, multiple sclerosis, and high blood pressure. It also has a positive effect on lowering cholesterol levels, and is important in treating cirrhosis of the liver. The oil also helps with chronic fatigue syndrome, diabetes, nervous system, imbalanced hormone levels, and metabolism. A tea made from Evening Primrose is considered to be effective in healing asthma and whooping coughs. Add one teaspoon of dried Evening Primrose flowers into boiling water (use a teaball or bag if available). Steep the leaves in the tea for 5 minutes. Drain the leaves if required. Add a small amount of honey as a sweetener. The anti-bacterial and anti-inflammatory properties of Evening Primrose Oil make it a great remedy for boils, bruises, and other skin inflammations. Make a poultice by coarsely crushing the flowers and leaves of Evening Primrose. Heat the poultice to a temperature that doesn't burn the skin. Put the poultice on the affected skin overnight and wrap it with a bandage. Apply it until boil comes to a head and is ready to be drained out. Evening Primrose helps the boil to drain naturally but it is recommended to see your doctor for proper treatment at this point. To speed up the healing process you can also take one capsule of Evening Primrose Oil daily. Fluctuating hormone levels of estrogen and progesterone in the body are often the cause of PMS (premenstrual syndrome), menstrual cramping, and menopausal disorders such as hot flashes and breast tenderness. Evening Primrose can help to regulate these hormone levels in the body. Therefore, as your period approaches or you are experience menopause, drinking a daily herbal tea made from dried Evening Primrose leaves can help treat many of these problems. See above for instructions on how to make the tea. Evening Primrose capsules are also effective as an alternative to the tea. Evening primrose oil is used in many facial creams, moisturizers, and masks because of its emollient, anti-bacterial, and anti-inflammatory properties that penetrate through the layers of skin to make it softer, smoother and acne free. It is known to treat blemishes, dark circles, age spots, and wrinkles, and it helps to hydrate dry, red, scaly skin. Therefore, a simple home remedy for these skin problems is to apply a few drops of Evening Primrose Oil to the affected skin twice daily, or take a 1000mg Evening Primrose capsule once per day. The herbal properties of Evening Primrose help stimulate the metabolism, which causes our body to burn more calories. Therefore a regular intake of Evening Primrose tea or oil can help play a great role in losing weight. Take one capsule of Evening Primrose Oil once a day, or drink two cups of Evening Primrose Tea made with dried leaves, roots and flowers daily. Incorporate a 20-minute cardiovascular exercise program into your daily routine (such as running, cycling, or elliptical bike). Evening primrose oil is well tolerated by most people when used in moderation. An overdose of Evening Primrose may cause nausea, upset stomach, and headache. The recommended adult dosage for Evening Primrose is no more than 1000mg - 1500mg per day. It is always best to follow the directions on the package. The Evening Primrose plant can be found in many nurseries and occasionally grocery stores, which allows you to dry the flowers, leaves, and roots for therapeutic use. For example, the leaves can be used for steeping a nice herbal tea. A simpler option is to look for Evening Primrose oils, capsules, and powders in most health food stores. When buying Evening Primrose Oil, look for cold-pressed oil since cold pressing helps maintain the essential nutrients of the plant. Everose contains evening primrose oil and vitamin E which is known to help with skin disorders. But just to be safe ask a pharmacist or a skin specialist. Can Everose tablets help me in curing white spots on my face? I have polycystic left ovary. My husband got me Blackmores Evening Primrose oil 1000 gel. I'm not sure about its side effects and if I should take it. Does anyone know if Evening Primrose can help with polycystic ovaries? Hey guys, I just wanted to ask if you suffer from hard stools after taking Everose food supplement capsule? Thanks. 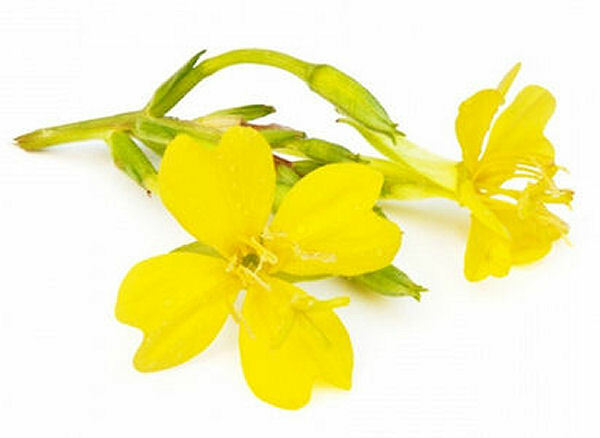 @Monique, Evening Primrose oil has anti-inflammatory activity and helps with joint pains and aches. If taking it in the capsule form has helped you in the past, I think you should take it in the same form. I find that taking it in oil form works pretty good too. You can take 1/2 tsp of cold pressed Primrose oil once daily. Also taking one Turmeric capsule daily helps with backaches. I have lower back pain, will the evening primrose oil help? I have taken evening primrose a long time ago when I was in my 20's and it gave me lots of energy. Would it give me that same energy again? Also I would like to know, what should I take - capsule or liquid? I used to take it in capsule form! Clinical studies suggest that the use of Evening Primrose is likely safe for up to a year when consumed in moderation and within prescribed amount. For how long do I take Evening Primrose capsules? Is there any maximum period for its intake?